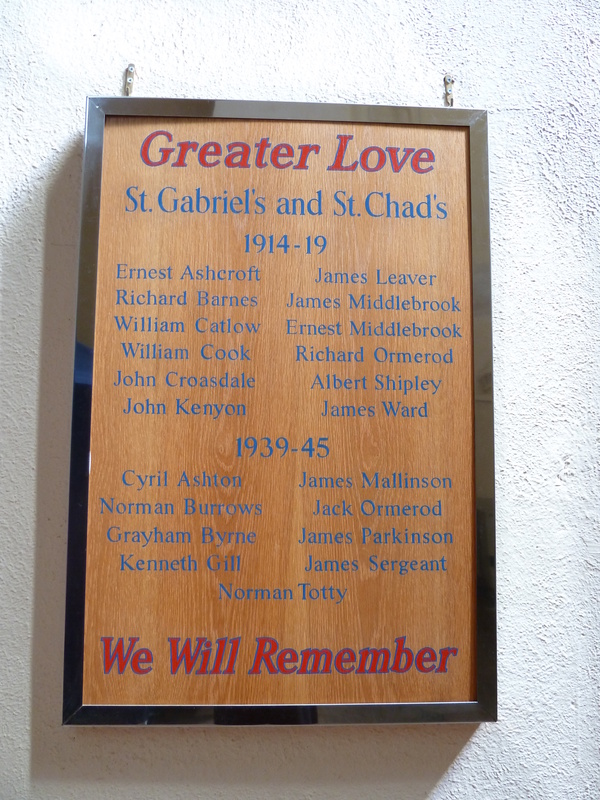 Back in 1996 my late father tried to discover more about the men whose names were on the Memorial Board that had once been in the mission church of St Chad at Pleckgate, Blackburn, where for some years he had been the Reader-in-Charge. 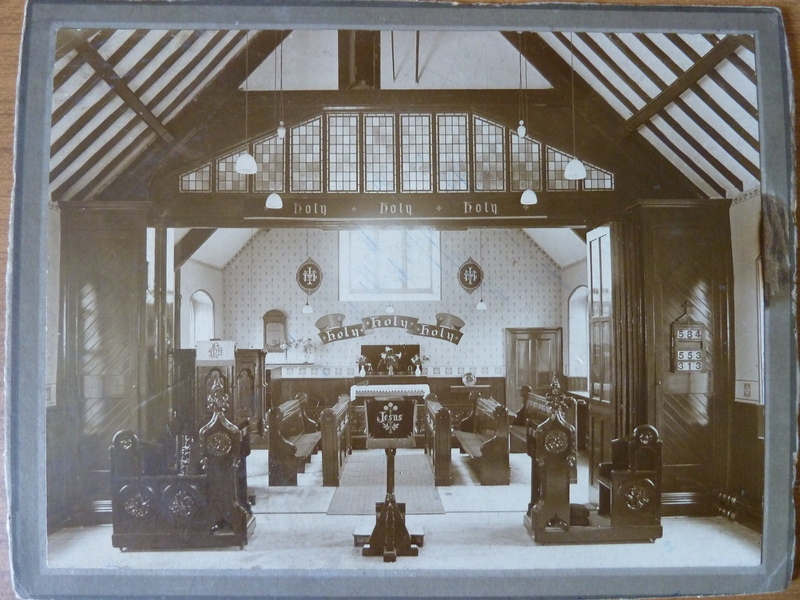 The names are now displayed on a modern board in St Gabriel’s Church, Brownhill, Blackburn, although, sadly, I have been unable to locate the original board which can be seen on this photo on the left hand side of the far wall. My father prepared a short booklet called Tell Them of Us in which he recorded some brief information about the men from cuttings held at Blackburn Library. To mark the beginning of the First World War I have created a site at: www.tellthemofus.wordpress.com with more information about the men who gave their lives. They include Richard Barnes and James Ward, who were both employed at Roe Lee Mills and whose regimental numbers in the Lancashire Fusiliers are consecutive. They must have gone to join up together and they both died within days of one another and are buried in Belgium. There is also young Albert Shipley who enlisted at the outbreak of war in August 1914. The census gives his date of birth as 1898, which means he was just sixteen years old. He lied about his age as the Ploegsteert Memorial in Belgium gives his age at death in 1915 as 19 years old. He was just 17. His body was never found and he has no known grave. How exciting it must have seemed to those men in their teens and twenties who had probably known nothing but work in the mills since they were 13 years old. It must have seemed a way of getting away from the tedious heat and noise of the machinery in the mill sheds; a way to see more of the world. How proud they must have felt as they swore the oath to defend king and country and signed their papers. But they exchanged it for the horror of battles like the Somme; for blood and mud and death as they fought for their country. So many never returned. It is appropriate today that we take a moment to remember them. Thank you for that, Andrew. I’ll go to see if I can find it.